Marshalls gave me a Top Secret Mission - a Secret Santa Mission that is. Find something super fabulous for someone that I have. never. met. Oh, you read that right. I was sent off shopping for a fellow blogger that I do not know. Talk about a challenge! But I knew that if I was going to find a great gift, Marshalls was the place to shop! Now... on to shop for my secret santa! Wait..... what's that over there?? Ooooo, sassy black and white thank you notes. A definite MUST during the season of gift giving. I wonder is my secret santa would like those. Hmmmm. Oh I will put them in my cart anyway! Ok, now what to get my secret... GASP!!! Take a deep breathe there lassie, remember you are shopping for someone else. What?!? These Enzo Angiolini boots that retail for almost $200 are only $29.99!! Oh I definitely can't walk away from a deal like that! Mmmmm, momma loves her new boots. Now - on to shop for my secret santa! I am sure it won't hurt to take a quick browse through the sweater section. It is getting a wee bit chilly in the Midwest these days and maybe I could find something to go with my new boots. Looking... perfect! Yes, this lassie found the perfect brown Limited sweater for more then half off! Yes, yes. I know. Secret Santa. Well don't worry. This little lassie found an amazing gift for an amazing price for her secret santa, but I can't share what it is yet! I will be sure to keep you posted. What about you? Do you have a fabulous find that you want to share? Let me know! Don't forget that Marshalls and T.J. Maxx have joined together for a "Carol-oke" contest. One lucky person will win a $5,000 holiday shopping spree - just for singing their favorite holiday tune! Check out the Caroling Channel for your chance to win AND for each off price Carol-oke video that is uploaded, a charity donation will be made. It's a win win! Do you have that beauty product you just can't live without? Having fair skin and living in the Midwest my poor Irish skin takes a beating. 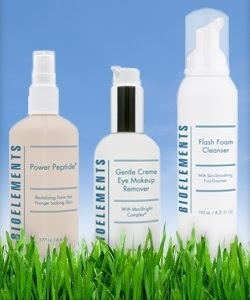 That is why I have been such a huge fan of the Bioelements skin care line. I love what their products do for my skin and am secretly addicted to the smell of their products. The Bioelements masters have been at it again! Now, not only can you have professional skin care for you face, but your body as well. 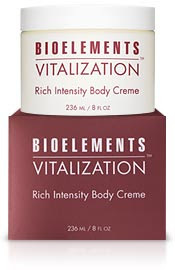 Vitalization is a rich intensity body cream designed to make a major difference in the appearance of your skin. Do you battle dryness in the winter? Suffer from lackluster skin texture? Missing that 'glow'? Well fear no more! Vitalization banishes dryness, smoothes and restores radiance and encourages a firmer body. With my fair Irish skin, I suffer from all of the above. I am always in search of "the perfect moisturizer." I am happy to say my search is done! Vitalization handles all of my skins issues with no artificial colors, fragrances or alcohol. I also love that Vitalization is not greasy and keeps my skin soft all day long. Throw in that addicting fragrance of all their natural ingredients and this Lassie can take on the coldest of winters! Who wouldn't want to coat their body in sunflower, grape, black currant, apricot, red tea and cloves? Kind of makes a girl hungry reading their ingredient list! Want some even better news? Since 1991, Bioelements has only been available in exclusive salons and spas. NOW Bioelements has their own website! 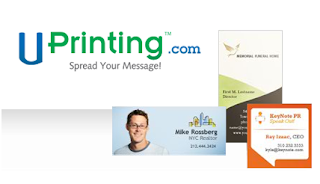 You get FREE shipping with any $35 purchase as well as THREE FREE samples. I can't think of a better reason to give it a try.... can you? Thanks Bioelements for Vitalizing my skin! Ok, I really wanted to save my 666th post for this Saturday but how is a Lassie supposed to not post ALL week? Well, I know it would be pretty easy to do but I'm dedicated, I'm ambitious, I'm.... are you buying any of this yet?? Yeah, I didn't think so. So in honor of my 666th post I am going to tell you one of my favorite beauty tips and offer you a treat - a box of beauty - from Unilever! No tricks here I swear! 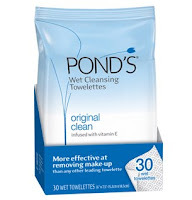 One of my new favorite beauty products is Pond's Original Clean towelettes. This all in one wash cloth cleans your face while removing even the toughest make-up. Can you believe it can even remove water proof mascara!? Amazing! It removes all the impurities from your skin - even deep in your pores. What girl doesn't need that? I love the fact that it gently cleans my face and removes my make-up in one easy step. Cause let's be honest, by the time I get around to washing my face I am exhausted. 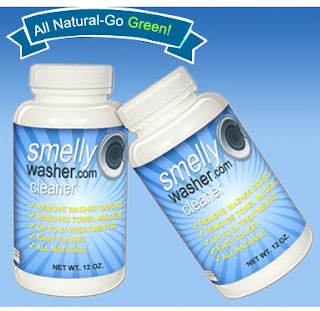 This is the perfect product for this lazy tired lassie. With Pond’s towelettes, you can grab-and-go for quick, easy beauty maintenance! They even come in three different formulas: Original, Micro Dermabrasion and Age Defying. Plus they made Allure Magazine's list of BEST beauty products of the year!! Ready for your treats? Leave a comment and you will be enetered to win a box of treats from Unilever including products from Dove, Vaseline, Pond's and Q-Tips. You even get a treat if you don't win the prize pack! Just go to Pond's website you can get a $1.50 off coupon to try them for yourself!! Now go on... treat yourself! I made it! Ever have weeks where you feel like that? This week has definitely been one of those. Thank goodness Ann is hosting her weekly Virtual Girl's Night Out!! This Lassie needs one! As part of this week's blog hopping extravaganza, I am hosting an uber fabulous giveaway. You know I am a HUGE fan of music. Love, love, love it. It is a trait that I have happily passed on to my boys. While none of us can sing worth a lick, we can dance and jig like nobodies business. This week I am happy to introduce, thanks to One2One Network, a new up and coming musician. While her music isn't the type to get down and shake your booty too, it does have a great folksy sound. May I introduce you to Brandi Carlile and her new record Give Up the Ghost! My favorite song on the CD you query? Why it is definitely THIS SONG - Dreams. When I first heard her latest CD I was immediately reminded of the Indigo Girls. Well no wonder! She worked with Amy Ray on the song 'Looking Out'. Brandi also had the opportunity to work with Elton John, Tom Petty and the Heartbreakers multi-instrumentalist Benmont Tench and drummer Chad Smith. While I am not sure this CD will be a daily regular play, I can definitely see it as a road trip CD or played to help mellowing out after a long day. 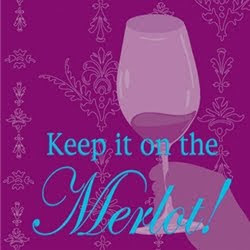 Of course, it's the perfect fit for tonight while I veg out in front of the fire with my large glass of Merlot. Mmmmmm, I can feel the relaxation now! 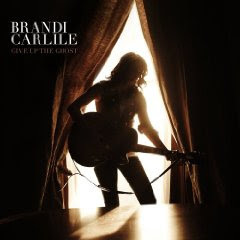 Want you own chance to win Brandi's latest CD, 'Give Up The Ghost'? Leave a comment with your email and you will be entered. I will pick and post the winner at next week's VGNO! See you then!